At Absolute Body Waxing and Spa, you get more than just the best Brazilian waxing experience in Orlando. You also have a chance to enjoy an amazing facial with one of our knowledgeable Aestheticians. With several options to choose from, you will find the right facial service for you to help you feel rejuvenated, cleansed, looking and feeling more beautiful. Our skin care treatments are suitable for a wide variety of clients because they are completely tailored to meet your specific skincare needs. With our peels, we are able to facilitate the most suitable outcomes for you by adjusting the variables of the treatment such as the acid used, the various corrective enhancers, and the amount of layers applied to the skin. With your customized treatments, you will experience an improvement in the appearance of hyper pigmentation, dehydration, acne, sun damage, fine lines and wrinkles, surface texture and complexion. 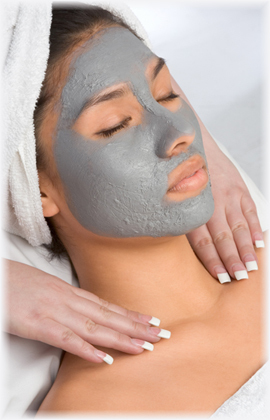 Deep cleansing facial with steam and extractions. Great for all skin types. Perfect introduction for first timers or monthly maintenance. Note: For 30 Min sessions, there are no steams or extractions. Our Classic Facial with a focus on your individual skincare needs. Thorough cleansing of your back, with exfoliation and steam. Special enzyme exfoliant is used to open pores and light peel for enhanced cleaning. Vacials are facials that are intended for the bikini area. We do the same steps that are in our Classic facial (minus the massage) for your bikini area. The benefits will be long lasting when combined with your regular bikini waxes. *Purchase a facial package today! Receive 6 facials for the price of 5 facials (of equal price).